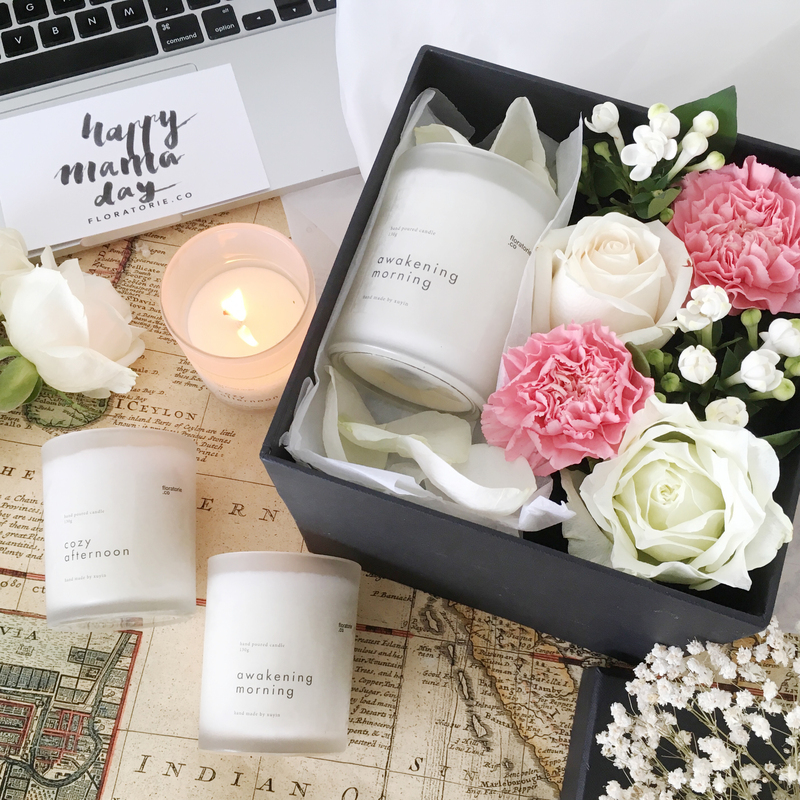 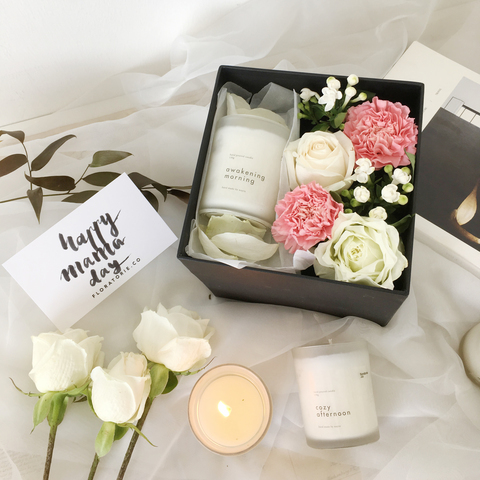 "A mix of white roses and pink carnations arrange with our newly handmade candle perfectly crafted in a box"
As with all fresh flowers, the flowers shown are seasonal. Cotton and filler flowers are subjected to changes based on availability. 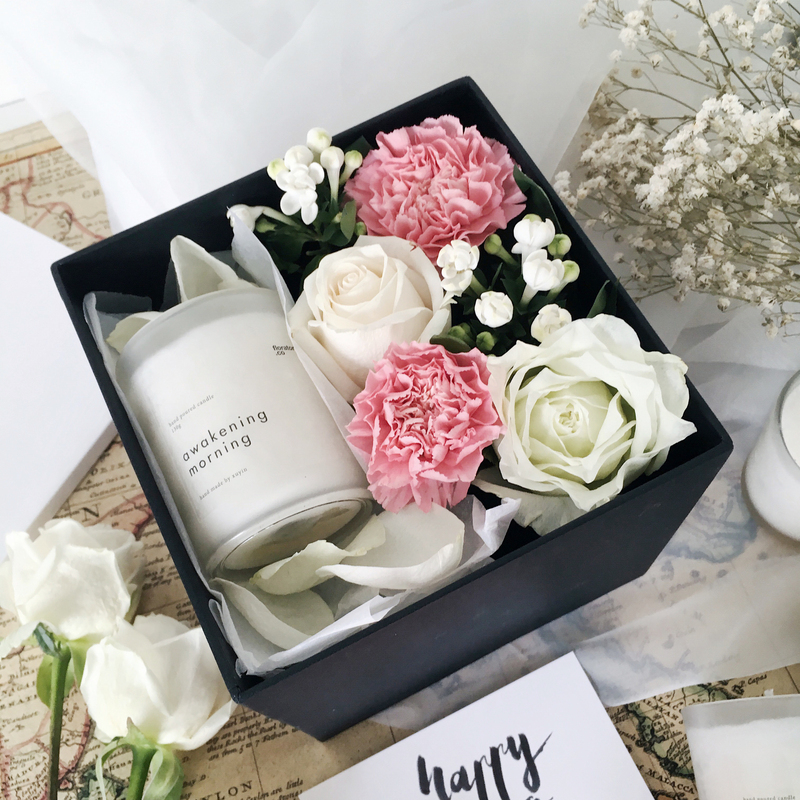 Rest assured, the bouquet will look as beautiful as ever!